England was beginning to move again yesterday after the Christmas break but not for long as the M6 was completely stationary in both directions last night and other roads were reporting problems. I was glad that I was taking the train this morning. Scotland is recovering from two severe storms over Christmas, while in Northern England we had much less severe wind and rain. We left the house in frosty darkness with all the stars visible as James took me to the station. In the lounge, I watched a TV programme highlighting the benefits recent wet summers and mild winters have had for farmers who have could keep animals outside for longer and cut more hay from the long grass but also the adverse impact it has had on many insects and wildflowers that need shorter grass to survive and birds such as barn owls who cannot see their prey in longer grass and whose numbers are declining. Yet another consequence of climate change. Not driving meant that I could dip into a book I found on Tuesday at Cavern Books, Dagfields, near Nantwich: http://www.cavernbooks.co.uk/. 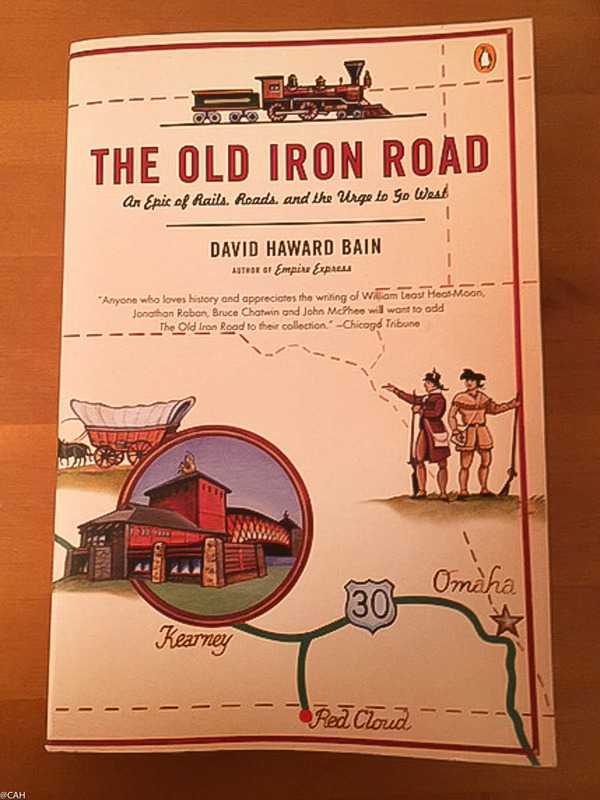 It is David Haward Bain’s The Old Iron Road: An Epic of Rails, Roads and the Urge to Go West. In 2000, the author (who is an established non-fiction writer and academic at a Vermont college) travelled along the routes followed by the early rail road, Lincoln Highway, California, Oregon and Pony Express trails with his family. 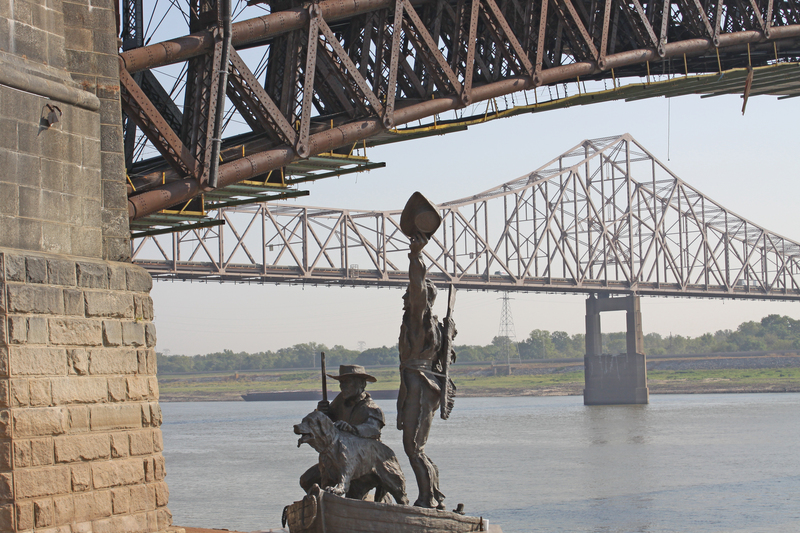 He had more time than we could squeeze out of our jobs on our transcontinental drive and has researched and added much of the associated history along the way, including that of his own grandmother’s family. There is also a selection of old photographs in the book. At Omaha, his route coincided with the Lincoln Highway on Route 30 and our drive as we entered Nebraska on R30 from Iowa. 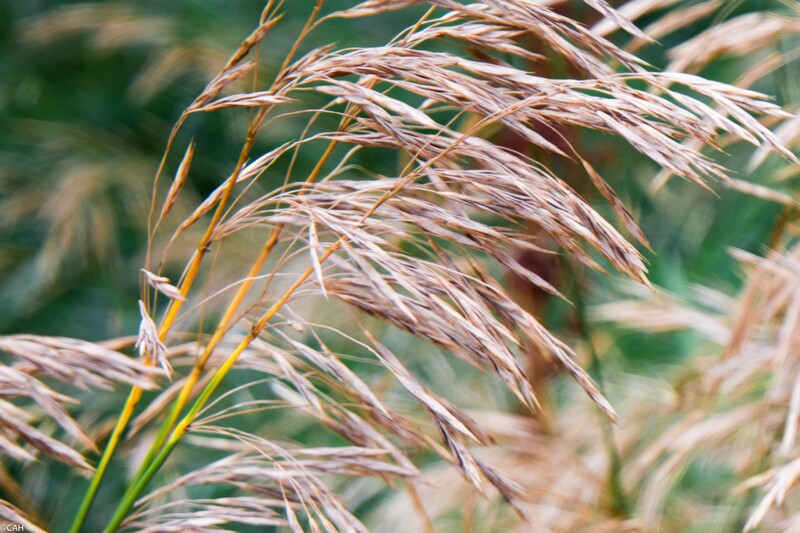 One of the things I enjoyed in Nebraska was the prairie grass in the Cottonmill Park near Kearney. By the time I had reached this stage of his book, dawn had broken in South Lancashire and the sun was fully up well before we reached Carlisle. The Cumbrian hills were covered in frost and mist but there were still large pools of water in the fields in southern Scotland. As I emerged from the station in Edinburgh, it was much milder. The city is gearing up for the Hogmanay celebrations and it will get much busier over the next two days. I shed my woollies and as I walked to the shops from the flat, noticed large numbers of branches on the ground from the surrounding trees. I will be out tomorrow to do a few things in town and looking forward to Friday to meeting friends and celebrating James’s birthday.